Revealing the interwoven energies of body and soul, love and spirit that illuminate the core of each being. Alex Grey's mystic paintings articulate the realms of consciousness encountered during visits to entheogenic heaven worlds. His painting 'Net of Being' - inspired by a blazing vision of an infinite grid of Godheads during an ayahuasca journey - has reached millions as the cover and interior of the band TOOL's Grammy award winning triple-platinum album, '10,000 Days'. 'Net of Being' is one of many images Grey has created that have resulted in a chain reaction of uses - from apparel and jewelry to tatoos and music videos - embedding these iconic works into our culture's living Net of Being. 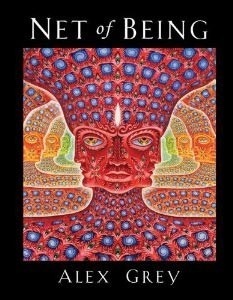 The book explores how the mystical experience expressed in Alex Grey's work opens a new understanding of our shared consciousness and unveils the deep influence art can have on cultural evolution. The narrative progresses through a successive expansion of identity - from the self, to self and beloved, to self and community, world spirit and cosmic consciousness, where bodies are transparent to galactic energies. Presenting over 200 images, including many never-before-reproduced paintings as well as masterworks such as 'St. Albert and the LSD Revelation Revolution' and 'Godself', the book also documents performance art, live-painting on stage throughout the world and the 'social sculpture' called CoSM, Chapel of Sacred Mirrors, which Grey cofounded with his wife and creative collaborator, artist Allyson Grey.